Once every six months, whether I need to or not, I meet with my investment adviser from Fidelity. I've been doing this for five years, and have come to value the experience as truly educational. On Tuesday, for instance, my new adviser Michael talked me through some income planning. First, I was deep in debt and struggling. When Get Rich Slowly began to grow, I paid off my debt and accumulated cash. When I sold Get Rich Slowly, I invested the windfall in index funds and municipal bonds. When Kris and I divorced, she received the municipal bonds. When I bought my condo, some of my index funds were converted into real estate. For years, my income and expenses have been all over the map with no semblance of normalcy and no consistency. Now, at last, things are settling into something of a routine and I can think about planning for the future. Since June, I've once again been tracking every penny I spend in order to get a clear picture of my financial situation. My monthly spending is reasonable except that I spend a lot on travel. My income (including principal on the loans) would come close to covering my expenses if I didn't take two big trips (and several small trips) every year. But I do take those trips, and that adds $2000 per month to my expenses. So far, I've subsidized my travel by slowly drawing down cash savings, but those funds will be gone by the end of 2014. It's time to start thinking about the future. If I choose to maintain this sort of lifestyle, how will I fund it? Michael and I talked about the options. Note: Mr. Money Mustache thinks I should just slash my spending. He interviewed me about this recently by email, and may write about it soon. One path, of course, is to make more money, and that's my top choice. Another path is to start a side business. Or two. I told Michael about my desire to open a money store where I'd sell books and magazines, hold classes about budgeting and investing, and offer one-on-one counseling. Or I could try to make money from another blog. I have several great domains and ideas on the back-burner, including a couple I could do with Kim. Or I could start some other of business. I do not lack for ideas! He showed me Fidelity's guide to retirement income investing, which includes a simple calculator that computes “potential sustainable monthly withdrawals” from a portfolio based on a starting balance, asset allocation, and life expectancy. In other words, you tell it how much you have and how long you expect to live, and the calculator tells you — at a “90% confidence level” — how much income your portfolio could give you for the rest of your life. If you're 30 years old and have $100,000 saved, there's a 90% chance that your portfolio would produce $291 per month, adjusted for inflation. If you're my age — 44 years old — and have $1,000,000 saved, there's a 90% chance that your portfolio would produce $3348 per month. If you're 60 years old and have $250,000 saved, there's a 90% chance that your portfolio would produce $1202 per month for the next twenty years. After playing with the numbers for a few minutes, I'd come up with a plan. I like my lifestyle. It's comfortable but not extravagant. Still, I've become lazy. It'd be good for me to exercise my frugality muscles a little more. I can cut back on food, for one. (My food expenses have been high for the past two years because I eat out a lot and I shop at a fancy supermarket.) I can also find ways to travel more economically by focusing on domestic travel instead of going abroad. Meanwhile, I'll fund my spending with income and cash savings for as long as possible. Also, I'll strive to increase my income from writing (through the book I'm working on) and a couple of targeted websites (including at least one that I do with Kim). As a last resort, I'll tap into my investments to subsidize my lifestyle, as Michael suggested. But I shouldn't have to worry about that for a couple of years. By then, I hope to have established equilibrium! Not everything in my meetings at Fidelity is useful. I don't care about the hot new funds, and I'm not interested in annuities. But each time I talk with an adviser, I learn something new, and I think that's the point. It's easy to get wrapped up in the day-to-day details of our own lives. We get mired in the minutia of our finances so that sometimes we miss the forest for the trees. Plus, it's an objective third party can always see things we don't, helping us to explore options we might not otherwise have considered. There are 90 reader responses to "A Meeting With My Financial Adviser". Interesting post – one thing that concerns me is the fact that you are planning to make regular withdrawals from your investments? Are you sure this is a good idea? To avoid making a loss, you would have to regularly take out less than your investments monthly profit, otherwise you may end up with no savings at all at some point in the future! Ah, Mark, how times have changed. Two years ago, my income was higher than it is today and my spending was lower. As to whether it’s a good idea to deficit spend: Of course it’s better not to do so. However, what’s the point of having savings if I’m not going to use it? It doesn’t do anyone any good to sit on a pile of cash. There’s a delicate balance to be had, right? If you’re in debt, your priorities are different than if you have ample savings. When you’re in debt, that’s a sign you’ve spent on the past. To compensate, you need to make sacrifices on the present to get caught up on the past. Then, you build wealth to fund the present and to prepare for the future. But what if you have plenty of savings? Your future is provided for, but you’re in a temporary space where the present needs a boost? To me, it’s worth considering using some of the money you’ve set aside for tomorrow to live today, especially if it causes no significant damage to your prospects. In this case, I want to point out my post explores hypotheticals. Yes, I’m deficit spending right now, and that’s a result of decreased income over the past two years. As I say in the article, I have at least fifteen more months that I can do this without having to make a decision. But I don’t want to do this for another fifteen months. I want to change things now. It’s your money and you have every right to do whatever you want with it. However, the point here is this is not the financial advice people look up to you for. Please understand that you have inspired many people and they still think J.D must be very good with his money. Best of Luck for your Future ! Makes a lot of sense to me. I believe the ideal retirement withdrawal rate touches no principal, but that’s probably a little too conservative. You had a huge windfall selling GRS, so I’d just go ahead and spend what you see fit. The windfall can be seen as the capitalized value of years of future income streams. Yeah, this would kind of spook me too at age 44 if I needed to start drawing down my retirement savings. I’d put my vote on earning more money through a writing gig. I think you could create a best seller financial book and have it made for another 5-10 years! I have to admit, alarm bells went off in my head when I read this part. Depleting one’s long-term savings to fund non-necessities such as travel and eating out doesn’t make sense to me, and I doubt J.D. would ever recommend that strategy to his readers. Perhaps I’m missing something, but I think reducing spending to live within one’s means and earning more income sounds like a much better strategy. I’m not convinced that most financial advisors are “objective third parties” — especially when they work for a company or bank that sells investment products. We need to be careful. Seems like the blog is losing it’s way if that kind of advice is even being considered – stealing from the future in order to maintain a current lifestyle of travel. I understand that JD said that’s a last resort plan, but even to consider it as an option at all seems to go against all common wisdom on the subject…this site or otherwise. Same concerns here. I’m wondering if the advisor was really talking about liquidating a portion of the underlying investments vs. using a portion of the income ( as opposed to reinvesting it). I’ve often wondered the same thing about financial advisers. While I’m no financial expert nor do I claim to be, how much better off are they? That’s my question. Beth, Greg, etc. — I understand your concerns, as I understand Mark’s concerns above. However, I think it’s important to recognize that there’s a difference between “stealing from the future” and using money you’ve accumulated to fund the things you want to do. After all, isn’t that the whole point of retirement, early retirement, and financial independence? We aim for those thing so we don’t have to be reliant on income, but can instead live off the money we’ve already earned. Maybe I should do an article on what financial independence is and how living in it is different than living in other stages of personal finance. JD – do you pay your advisor from Fidelity or do they provide the service free with an account balance? Brad, I do not pay the adviser. Not directly, anyhow. I’ve used a few calculators to determine whether or not I was ready to pull the plug or downshift on the amount of time/year worked. Favorites are i-orp and firecalc. But they were just confirmation that yes, I could stop accumulating so much and afford to spend the dividends I receive in my taxable account (it’s hard to switch from accumulating to spending what you’ve saved). I’m still finding that my inclination is to save and invest all of the income I earn on consulting gigs. Old habits die hard. Re. just cutting expenses, well, when you’ve only got a hammer, everything looks like a nail. I like the earn more option and would look at ways of earning money from/by traveling – guiding tours… work on a cruise ship… national park work… The possibilities are exciting and much more open if you don’t need to make a lot of money doing it. Most people literally can’t “afford” to do that kind of work full or part time. Also don’t think that it’s “lazy” to not focus on frugality all the time. In my case, in focusing on frugality vs. how I really wanted to live, I feel I was falling into the trap of poverty of imagination. It can tend to happen when you focus too much on the expense side for 30ish years. Jacq–Great comment and I miss your blog! As for JD: there is nothing wrong with taking withdrawals. The problem is that he hasn’t said how much he has in those accounts–if it’s 2 million, he can go quite a while, perhaps to social security age. If it’s 3 million, no problem. If it’s 1 million, he can add say $30,000/yr to his earnings. In that case, he will probably need to adjust his expenses. Without numbers–and only the writer has access to them–it’s impossible to give advice. Good point, frugalscholar. I haven’t revealed my total net worth other than to say that yes, I am a millionaire. Let’s just say it’s on the low side of that designation. I definitely do not recommend revealing exactly how much you have. Only bad things will come of it. Better to just blend in. Let’s get the Stealth Wealth movement going! Exactly FS! I kind of figured out how much he probably had stashed (and he has said multiple times that he’s financially independent) and so didn’t feel that there was a problem with drawing down a bit – and there isn’t. He’s *investing* in future capital in a way through his time in writing a book, maybe developing a website, etc etc. Much of the world’s progress has happened because there were people who were doing things and could do those things because they didn’t need income. Heck, even Agatha Christie lived for awhile on dividends! Did they ever pass the law about the 3 million dollar retirement account limit? The trouble I have with financial advisors is that so many of them promote the status quo, but when I ask them a hard question like, “Why would I set aside $17,000+ a year if we may see a retirement cap?” suddenly, they have no answer. Nope, never passed. I don’t think there was ever even a bill. I think it was just a trial balloon which was mentioned once by the administration. Withdrawing from your investments seems like a step in the wrong direction, but then again we don’t know how much is in these investments to begin with. I would steer clear of touching my investments unless I had no other recourse but to use them for something essential to my survival, home, medical expenses and the like. We’ve noticed– a recent article of yours went AWOL.. Of course nobody wants to work unpaid unless it’s for charity, so maybe you need a real job that pays real money? Alternatively, if you *really* want to write fiction, you can quit dilly-dallying, slash your expenses to live like an artist, and start working like a pro– day in, day out, like you’re digging a very long tunnel under a very big mountain. And before you think I’m coming across too harsh, let me just remind you that you’ve done this before. Do you remember when you used to work on this blog all day, posting multiple times a day, tirelessly and with a single purpose? Yeah. That’s the only thing that produces results, ever. Go watch Rocky III (“Eye of the Tiger”, ha ha ha), and then get back to work man. Nerdo, your opening pot-shot here is exactly the kind of thing I’ve been complaining that GRS commenters do to me and others. You’ve made a wild assumption — that an article of mine went AWOL — and run with that. Here are the facts: I’m on the hook for two articles a month here at GRS, but I aim to provide more. I want to write every week, if possible. I wasn’t “AWOL” from the site and I wasn’t being lazy. I’d already provided my two articles for October, and had no obligation to produce more. That Quinstreet was unprepared isn’t my fault. You and certain other commenters frequently make unfounded assumptions about my motives and behavior. It’s frustrating. Yes, I understand that’s part of what I get for being public with my life, and I used to sit still and accept these sorts of statements as part of the price I paid for doing this sort of work. I’m not willing to do that anymore. So, please, knock it off. Yes, I remember the days of working tirelessly on this blog. For the past two months, I’ve been working tirelessly on a book (or maybe two or three?) about personal finance. I have the same passion and fervor, believe me. It’s just not always apparent at GRS. I know, and I let it pass without comment until now. It certainly was implied that you were responsible for a weekly article, if that is not the case you should probably a post clarifying that. That certainly implies they were expecting an article from you — you can’t really blame the readers for coming to the conclusions they made when nothing has been done to refute that until now. Fair enough, Josh. Imperfect information leads to imperfect assumptions. Hey, wow, I’ve been busy all day so I missed the action. At this point it’s probably been clarified where I got my information (I even posted a link so you can see for yourself), and this was the widespread belief here, not some wild assumption I made out of thin air– just look at the comments under that un-article and/or the thumbs my post got. So, I’m just the messenger for the perceptions of a lot of people, not the cause of them. Anyway, a I’m happy to learn that your book is foremost in your work life and that you’re working passionately on it– that didn’t at all come across in the article; instead it was a lot of maybes and wild ideas that obscured your current mission. Because it’s a mission– yes? Anyway, If that’s your next big goal then, you already have the answer that you’re looking for– the issue is not what you can do for income, or all the many ideas you could test out– the question is how you’re going finish that book so you can sell it. Can you take a loan from yourself to finance its writing? I’m sure you can– the goal is to profit in the end, yes? Travel, good for you and all, but don’t blame others for not being excited about it in a PF site. So, anyway, mang, arguing with the internets is time away from your training regime. The work you do is all that matters. That’s what will endure and be judged. The rest is just noise– or as Steven Pressfield would call it, “resistance.” You know the title of his book– “Do the work.” So do it. Anyway, now that I think about it, the GRS hive mind is like that grimy street gym where Apollo Creed took Rocky to get his “eye of the tiger” back after his time as reigning champion fighting only handpicked opponents–here people will let you know if they don’t like what you’re saying and they won’t pull their punches. It’s what makes this place great– it’s a tough crowd, sometimes a bit mean, but a good one at heart. Alright, best wishes with the book, Mr. Balboa. Looking forward to reading it. What’s the date of the fight? I mean, the publishing deadline? If JD is living a life of semi-retirement, which it seems to me he is, then it would make sense to me to pull down money from investments as that is what one does in retirement. Of course, many people in their early years of retirement live of dividends and income generated by their retirement investments/savings and they don’t liquidate the investments until much later. It sounds like JD’s expenses/life style is more expensive so he would need to liquidate investments at a certain point. He may want to think about reallocating to investments that generate more short term income vs. long term growth rather than liquidating the actual investments. Everyone please note: Sam has hit the nail on the head. But because I’m young and willing to work, I’m focused on finding future income sources, as I mentioned in the article. So, instead of retiring early, I’ve opted for semi-retirement, which means I’m currently drawing down a portion of my savings while I take the time to find other ways to make money. I’m not sure why this is so alarming to anyone. I’ve been writing about this as a goal for years. It’s what I’ve always aspired to, and I think it’s what most of us aspire to. JD, I’m pretty surprised that you’re predicting a lifespan of 80 years! Considering your emphasis on health and fitness over the last couple years, it seems completely reasonable to expect that you could live to 90 or even 100. Is there a reason you’ve chosen 80? I’m glad you’re back writing at GRS! Okay, this makes a lot more sense now. If you are generating $4,000 a month until the age of 80, and you are currently just reinvesting it, then go for it. Take some of it now. I believe we all thought you were going to deplete your retirement funds. But it sounds like you have plenty for now AND later. I enjoy reading your work, J.D. but your life journey gets a little lost among all the other life journeys I read about. :) No snark intended – it’s just that not all of us are up to date on everything you’re doing so we read your posts with a different perspective. I think if you had framed the post in terms of “when do I start drawing on my portfolio in semi-retirement?” then I think more of us would have been able to engage with it. A little more context for those of us who aren’t regular readers would have helped. Yes, I think you’re correct. Sometimes I get lost in my head, and I forget what people know and don’t know. I also forget that although I might have written about something five years ago and I know that info’s here, that doesn’t mean everyone has read it. I need to take time to re-establish my current situation. One thing I’ve realized and I plan to post on my site is the revelation that ACTIVE income is so much more rewarding than passive income. It feels great to do something for money instead of just sit around collecting the checks. My advice would be that since you are known for your financial advice/struggles that this is the area in which you would find the most income. Why did you resign your column from Entrepreneur when you need more income not less? You also stated that writing about finance takes the “love” out of it. Well, opening a Money Store for profit is operating in the area of finance. Only you would be, again, doing it for profit. It looks to be as it you are having a really difficult time focusing. Anne, what makes you think I’m having a tough time focusing? I resigned the Entrepreneur column in order to have more time to write at Get Rich Slowly. Plus, I was being asked to write about topics outside my area of expertise (“how to lease equipment”, etc.). Yes, I gave up $500/month of income, but I felt the upsides more than compensated. You gave up $500 a month to focus on writing for free at GRS and yet you’re worried about income? Sorry, but that’s fuzzy focus to me. He gets to write about what he wants to here and doesn’t at the magazine. Seems like a no-brainer to me to give up a measly $500/month when you’ve got your monthly nut covered to be able to write what you want. That’s the thing about FI that takes awhile for people to get – it no longer only becomes about the money – money ceases to be the primary or even *a* consideration. The only thing to think about is whether you like what you’re doing or not. Just because Jacob doesn’t enjoy travel or find value in it doesn’t mean that others ought to feel the same way. Each of us has different values, right? If he can’t enjoy wandering through South American cities, he ought not do it. But that doesn’t mean the people who choose to do so are somehow misguided. His post is more about the lure of travelling to tourist traps. I think you might actually agree with some of what he says. Why have all those investments and not use them? Isn’t that what they are there for; to fund your retirement no matter what age the “retirement” begins. Regarding the travel expenses, we have cut costs using AirBnB, Hotels.com (10th night is free), and credit cards that offer miles or travel awards such as AMEX blue sky. We also try to fly on off times to get better deals. My goal is to die with one dollar in the bank, not to die with one million dollars in the bank. I would love to see a post on how you plan for that. I’m being serious here — not snarky. I’d love to hear more on this topic. The first time I read about this was in Stephen Pollan’s book “Die Broke”. This is so typical “me generation”. This is probably a very person question, but have you though about any charitable organizations you would to leave what you have to? I could be taking that statement too literally though, so forgive me if I took it the wrong way. I thought of that too. I’m a millennial and I look forward to passing on some of my wealth (while I’m both alive and dead) to those who desperately need it (because there are many who can benefit from vital services that aren’t getting them in virtually every community). Not that I’m saying everyone SHOULD do that, but maybe it’s just something to consider for those of us who have been dealt a good hand in life. And it feels good! My personal goal is to do what J.D. is doing, reaching semi-retirement and pulling money from savings so that I can live the life I want to live. I’m confused why that’s a bad thing. I love to see an article on what divorce can do to your finances with details and the long term effects. You have experience in this area. The big problem with J.D. is he isn’t really all that knowledgable about finances in the way it really matters, the bottom line. I always viewed his vision as somewhat myopic where he was trading multiple bad financial behaviors for other bad financial behaviors which he deemed more worthy because they fell in-line with his current passions. His past life which he struggled from and recovered from debt was the bad behaviors but he never really dealt with the issues only addressed the symptoms. The main issue is his relationship with money which is deep rooted but also his justification system for classifying expenses. He also is ignoring his own needs/wants/savings percentages. If he had stuck with that along the way instead of letting his relationship with money overtake his better sense, he wouldn’t have these issues. Its clear that his spending from savings are not needs but wants. When situations present themselves that cause a major deviation from plan, then action needs to be taken. Ideally if he stayed on plan regularly(even monthly) he would have eliminated the majority of wants (very pricey) until is income increased to justify their expenses vs drawing down savings. Hey, Mike: Good idea about the divorce article. Kris and I are having lunch tomorrow. I’ll ask her how she feels about me writing on the subject. Maybe she’ll even contribute her side? No promises, though. As for the rest of your comment: I like that you’ve brought up my current relationship with money and how that relates to my past relationship with money. I think you’re right, actually, that there’s a connection. However, I think that you too miss the point. Of course I recognize that my current spending is primarily wants-based. I own that, and feel no shame about it. I do want to bring my spending in line with the Balanced Money Formula (which I still love, by the way), but as I’ve noted above, it doesn’t upset me to tap into my savings (especially short-term savings) since that’s what it’s there for. Not to give you a hard time J.D. (too each his/her own) but the truth of the matter is that there is a huge difference between knowing the path and walking the path. I understand you are comfortable with your spending plans but is that really the point? I think its off point especially how it relates to this blog. Short-term savings are not really for lifestyle choices. Lifestyle choices should be funded from income prior to going into savings, not funded from savings due to lack of income. Remember this blog is called Get Rich Slowly. People who do that successfully do it through following and reinforcing consistent positive existing behaviors and by through building on them with marginal improvements over a long period of time. Your talking about reestablishing equilibrium. The key to following the above consistent approach is maintaining equilibrium, not having to reestablish it. The issue is, you were on the path to Getting Rich Slowly and then you got Rich Quicker than anticipated. The divorce through a wrench into your plans a bit financially and your lifestyle did the rest. Its a lot easier to maintain equilibrium than to continually having to reestablish it. Yes, life gets in the way of plans but changes can be made to maintain in most cases, regardless. Your lifestyle was the biggest culprit in your situation. Your behaviors tend to be more see-saw/peak-valley than consistent. In most cases the shortest path is a straight line. So am I missing the point, no I just don’t think the point is applicable to the blog. Finally you can argue how different savings goals/levels are applicable to different situations or how draw downs can be used for those who are semi-retired and how your situation allows you to approach savings differently due to your net worth but it really doesn’t justify your behaviors as expressed as it relates to this blog. A million dollars or slightly over it is essentially nothing today adjusted for cost of living, Ben Bernanke sneezes and a million comes out. The millionaire next door now needs to be the ten millionaire. I’ve seen millionaires go bankrupt in a blink of an eye due to bad investments, illnesses, or just bad luck. I just don’t see this happening to a pf blogger, and a man who is pretty frugal despite the huge windfall from selling GRS. Whether JD is knowledgable about finances to your satisfaction is not as important as the fact that he created his windfall out of nothing and is well off. JD, this post resonated with me because I find myself in similar predicament, minus the windfall from selling a blog, of course. I have drained savings over the last couple years, after a strong record of frugality, and have quite a bit of “buyer’s remorse” for having done so. While I am flexing those frugality muscles now, I’m finding that I do good just to tread water most months – no new debt, but no new savings, either. I’ve decided to continue my frugal ways, but to also look for new income streams. I think, in the long run, that will be ideal option for you as well. You’ve already proven you can do it, but I understand finding the motivation to start a new project from scratch is challenging. Best of luck to you as you begin yet another chapter of your financial life. I’m willing to bet that JD’s net worth is substantially different than yours. Where is it written that one can never spend any of what one has earned and or saved? The point is not to run out. JD is probably in no danger of that. Moreover, as this post illustrates, he is taking steps now to make sure it doesn’t happen. Should he get hit by a bus or fatal illness tomorrow, at least he will have enjoyed some of the fruits of his labor. MMM is right, JD. You’re gonna have to swallow that jagged frugality pill. …At least for a little while. Seems you have the same major weaknesses I do–beer and out-of-country travel. If I added a new girlfriend and dinners out into the mix, I’d start to slowly sink in the quicksand too. Occasionally though, “saving” is just “savings” and it’s not “retirement account”. I just bought a flight to the UK in the same month I had to attend an out-of-city wedding. Thought I could manage without, but had to pull a dollop out of the cash savings account to cover it. I automatically save/invest 50% of very paycheque, so more went in this month than came out, but I still wasn’t keen on having to touch it. * First, short-term emergency saving. Though I’ve become enamored with Liz Weston’s “credit card as emergency savings” idea, I still cling to the idea of having 3-12 months of expenses in a rainy day account. I recommend that to others, and I do that myself. My emergency fund has a balance of $5,000 and would cover all necessary expenses for about five months. * Second, long-term retirement saving. This your 401(k) and Roth IRA and other retirement accounts. You’re saving for far in the future when you’ll be unable to produce income at the level you can today. I’m fortunate to have over a million dollars in retirement saving. * Third, medium-term saving. For most folks, this takes the form of saving for a car or a house or a vacation or college education. For me, my medium-term savings is currently being used to supplement my income while I look for new ways to make money. I have about $25,000 in medium-term savings, which should last me through the end of 2014 at my current burn rate, as I’ve noted. What fascinates me is that if that medium-terms savings had been earmarked for buying a car or a house or something similar, and I’d spent it all at once, nobody would be complaining. But because I’m instead using that money as an opportunity fund to allow me to explore various life options, some people think I’m making a foolish choice. Haha… Well done! Hell, if I had $1M in retirement I wouldn’t even work at all. You’re basically living off your “medium term savings” and travelling off it as well? I repeat–well done! Travel away and have a blast. You’ve earned it and I’m bloody envious. I hope readers will read this comment to get better perspective. JD has AT LEAST a million dollars in retirement on top of his emergency funds and living expenses. Let him withdraw $2k, $4k, $6K a month if he wants to. The tough part about writing PF is that we want to reveal enough to connect, but not so much that we feel naked. If you have lots in the piggy bank, it becomes harder to connect. And others will project their own financial situation onto the writers, when in reality, there’s asymmetric info here. JD, if $25,000 will cover your expenses through 2014, than you’re doing an amazing job in the frugality department (even if some travel costs go beyond that). $25k would cover my family’s expenses for about 3 months, at best. Because I see early retirement in my future, I’ve given a lot of thought to how and when I’ll spend my savings. My concern is that I won’t retire as early as I can because I’ll be too afraid to spend savings. I just can’t bring myself to sell a stock or mutual fund. I guess I take buy-and-hold to an extreme. Frankly, your approach is far more balanced than mine. Could you really? I’m not trying to be snarky, it’s tough to find a job. Unless you’re talking about the box factory, then never mind. Why on earth don’t you get paid for GRS posts? And why does getting paid take the joy out of what you like to do? JD, sorry for your frustrations from the comments– maybe a reminder of your retirement status early in the (interesting and fun to read!) article would have prevented the backlash of commenters yelling at you for touching your savings. I think the majority of us GRS readers are not retired yet, so we have a knee-jerk reaction against touching funds for living expenses. I like your idea in comment #22 to “do an article on what financial independence is and how living in it is different than living in other stages of personal finance.” I am no where near financial independence, but I like the analysis of your current financial state. Vicarious living, anyone? I especially appreciated the analysis in JD’s comment #32– If somehow you are reading this comment but missed that one, please go back and read his assessment of different types of savings. It may change your perspective of the article. It’s hard to understand what this would be like since i feel like I’ll never be done saving for retirement. It would make me nervous spending principal though of any savings, but I don’t know because the only thing I have spent savings on is my apartment. Wow, commenters need to get a grip. He’s retired. That’s why the money is there. None of us knows how large his savings are so we can’t make an intelligent comment on whether he’s taking out too much. As long as it’s not collectively more than 4% of his total portfolio he should be fine in the long run. J.D. I was glad to see that you use Fidelity. I do too and have been very pleased with their info and services over the years. It seems all the other personal finance bloggers tout Vanguard. One suggestion if you’re going to (likely) be taking money out of your portfolio. This has been a great year for most of us – market is up 16% or so. If 8% is what you generally expect/hope for on your portfolio than take the extra % off the table now by harvesting the extra gains. Much less painful then to need to take money out when the market is down. Alternatively, promise yourself (not us) that you won’t take out money when the market is down. Just skip the extra’s that year. I’m not at the point yet where I’m putting money away in anything other than my work 401(k) due to paying of student loans. When I’ve accomplished that though, I was thinking Vanguard because I’ve heard so much about them. Why would you recommend Fidelity over Vanguard? I think that J.D.’s been given an unnecessarily rough time here. 1) So long as there is a safe withdrawal rate (historically recommended at 4% of a portfolio for retirees, but that number has been dropping, particularly for early retirees…down to about 2.5% now, I think) then using retirement savings for retirement living is fine. Though, like another poster mentioned, it would probably be more relaxing if J.D. was simply taking from the gains rather than the principal. But once again, a SWR is key. 2) The question of the purpose of money has also come up in this thread. The point of money is not to win some contest for the biggest bank account. It’s to serve us (food, shelter, clothing as the essentials…then later on our wants, whatever those happen to be). So long as J.D. has enough to keep going, then who cares what wants he’s spending his money on? A few notes/caveats to J.D. 1) You might want to have your SWR consider a life expectancy beyond 80, particularly with your increased focus on exercise and eating well. Those activities are likely to prolong your life, and you don’t want to end up with $1 at age 80. 2) I actually find international travel to frequently be less expensive than domestic travel if you’re traveling for an extended period of time (2-3 weeks, or more). The airfare is usually the most expensive part, but then the location itself often tends to be rather cheap to live in. This does not apply to most “westernized” countries. 3) Do you plan to replace your medium-term savings? What will happen when you need to replace your car, make some expensive repairs to your new property, etc? There are times when everyone’s expenses are higher than they expected and they need to dip into savings. I think some readers are just taking issue with the idea that you are taking your “medium-term savings” and planning on depleting it all, or at least seem okay with the idea. Best of luck to you with your new ventures. The guy’s got a million bucks in the bank and a paid off place to live. He can afford to slack a bit for a year or two if he wants. He can afford to take some risks, to fail (or not) at writing a novel, or whatever. He’s got a *long* way to go before he’s in any real danger. That’s a $24,000/year deficit, which he can run for four years and still have $900k in the bank. He doesn’t need to rush into action just quite yet, he can afford to take his time. Does he *want* to be losing money over time? No, I’m sure he doesn’t, but he’s got an *enormous* financial cushion to fall back on and he’s not actually going through it very quickly. He can try a lot of different things and see if one of them works out. I am glad to see more information in the comments because it helps clarify things — but I do think more context in the post would have helped. And one assumes that JD’s $1 million in retirement funds is parked somewhere where it’s earning dividends and/or interest and likely appreciating, so the money he expects to withdraw in the near term is probably not even depleting the principal, but rather just slowing the growth of the portfolio. On $1 million, taking out $24,000 per year is only a 2.4% withdrawal rate. In all likelihood (market returning something like its historical average of 7% or so), he’ll probably still be ahead after taking the withdrawals. But even if not, his stash is unlikely to be fully $96,000 lower after the four years. I enjoy meeting with my financial advisor because it is a reality check for me. I used to have a much higher income and i still think of myself as well-off inspite the fact that my income has been greatly reduced. I have very little in the way of bills, but need to reduce the spending a little bit. I luckily have very little in the way of bills. But i think it is important to step back and re-evaluate your finances occasionally, in case things change. Income generation thought: Have you considered substitute teaching? Some of the best substitute teacher experiences I had were with interesting people who went “off script” — basically talking with us about topics they were interested in rather than following the teacher’s set lesson plan. You could do that with financial education. Ask kids to think about how money figures into their daily lives, their attitudes about money, what they want for the future and what the reality is about paying for what that costs, etc. Kind of like being a secret agent/underground organizer for the financial independence movement. I agree with Money Mustache. My parents are spending $2k-$3k per month in retirement. My in-laws are spending $6k+ per month. Their lifestyles are virtually identical. If you chose based on appearances you’d choose my parents’ lifestyle hands down. In-laws give a lot of money away, waste a lot of money commuting (to care for relatives in another city – daily/stressful commute), eat a lot of meals out, etc. & they are overall frugal and live fairly modestly. P.S. My parents pay -0- income taxes. A lot of their spending differential is taxes. I really enjoy the Money Mustache blog because was largely how we live our life anyway (but I have never seen anyone talk about it before). The more efficient you are with money, the less you need – and I do not equate this with suffering in the least. I’d rather be my parents, with the nicer home and the nicer cars and the infinitely more laid back lifestyle. Most their income is spent on photography and travel (backpacking and road tripping and staying with friends and relatives while traveling the globe. Photography equipment is also not cheap). My in-laws blew $10k on a one-week international trip this year. Living in a big city in California, I think we could easily get our basic living expenses down to $2k per month (as a couple – once kids are grown). I don’t believe there would be anything sacrificial about this lifestyle. You’d be hard pressed to find any inefficiencies in our finances though. Which is what Money Mustache is all about: Efficiency, not sacrifice. My financial adviser would also tell me to get back to my full-time job if I had $1 million in retirement savings, because even retiring at age 65 or so, I project I would need at least $2 million to live. I’m a long time reader. I like how you’ve been honest with your situation. You worked hard, made money, and now have a multitude of choices on how to make your money work for you. Spending time and money traveling is important to you, and it makes you happy. What’s wrong with that? Your working on projects that will eventually make you money, so big deal if your using a portion of your investments to fund your expenses. Being financially independent, puts you in a different league than most of us that read your blog. Your story is inspiring! I vote for taking up travel credit card points/mileage accumulation. We now have no debt thanks to you and many others. So now I need something to occupy my time. Well I’m happy to take trips for free by meeting minimum spending on credit cards and using the points. First, JD never said he only has a million dollars in his retirement account. He said he’s a millionaire but on the low end of that. Meaning, he may not have $940,000,000 but he could very well have $10,000,000. Second, he never said he is using that money now. He hasnt touched it yet. What he *is* spending now is his medium term savings of $25,000 of which he can use for 15 more months. I think people are missing what he is saying but im sure his next post will clarify things for the readers. Yikes! Some harsh criticism here. I think the main confusion is how much JD has and the belief that he has less than reality. Let’s just put it this way. If you have MULTI millions in the bank / investments and a paid off house and freelance writing income, with no dependents, withdrawing down principal or what not isn’t a big deal at all. What we have here is Stealth Wealth, which is great. There’s ways more money out there than we know. 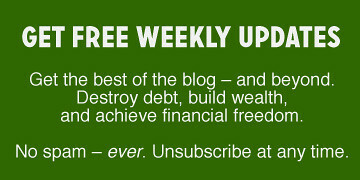 Wrote two long articles about finacial advisers this week if any ody cares. I do! Thanks, I’ll check them out! In this case, it’s not like J.D. has to give up his expensive travel or food habits forever, but how about giving them up on a trial basis and seeing if quality of life changes noticeably? Even if he has unlimited money, there are other costs associated with these habits (air travel, for example, has a huge carbon footprint), and it seems to me to be selfish to just have the approach of “I can afford it, so it’s all good”. Maybe it’s just me, but I think part of being responsible with your money is also considering the larger impact of your spending. I think this is part of why I prefer a blogger like MMM, because he’s not just about reducing spending, but also about generally being a more responsible member of society. You do realize MMM makes more than $50,000 a MONTH from his site and spends way more than what he claims he spends about his frugal life right? It’s all an image so he can make money off the public. He’s laughing all the way to the bank. Care to cite your resources, Lindeman? What a load of blather. Just want to say that you can still travel overseas and have lots of adventures without spending huge amounts on group travel or fancy restaurants. I figure @3000 for a month in an expensive country and two months in a cheap country. Really interesting post. I was relating your examples with the real life examples of mine. I’m glad you share this with us. Keep posting the good stuff. Ah….to have the problems you have. One can be so lucky. But great post on a relatively dry topic. And reading the comments was a lot of fun too.